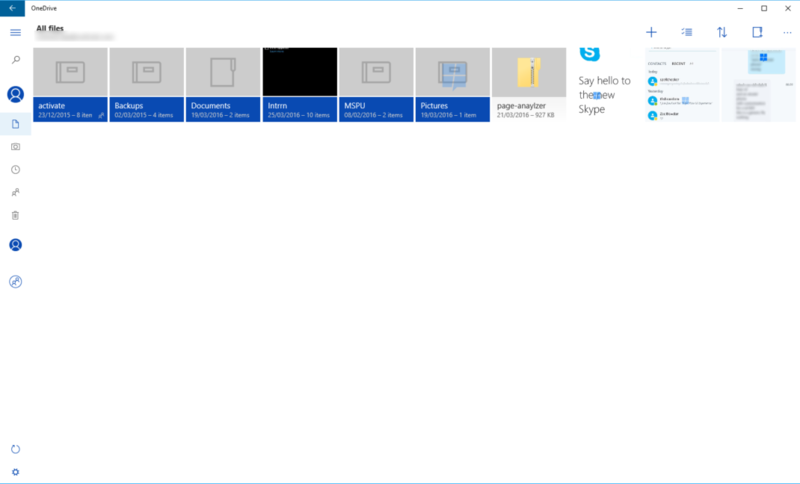 Just leaked the first images of the new OneDrive Universal App for Windows 10 – shortly after seeing a preview of that of Skype . OneDrive app and Skype app are making return to store, withdrawn with the release of Windows 8.1. Already available for Windows Mobile 10, the desktop PC counterpart and tablets is given on arrival after almost a year, but it should miss little. The new OneDrive Universal app could debut in the next build of Windows 10 Redstone , with the functions already available on the mobile and the support of Cortana and Windows Hello. There is no new feature in Leaked Ondrive app.